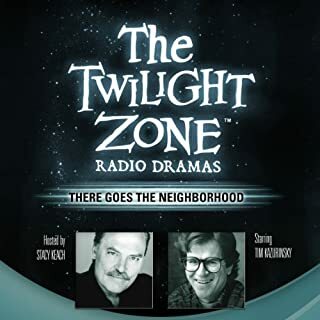 This story is the audio version of a 1963 Twilight Zone episode; it's very dated in characterizations and setting, but it's a kind of creepy story nonetheless. Nice story for under a dollar. Would you listen to Passage on the Lady Anne again? Why? If you could sum up Passage on the Lady Anne in three words, what would they be? I liked this episode. It was enjoyable, creepy and interesting. The Twilight Zone isn't a deep, thought provoking analysis of why people are on earth. This short was enjoyable for what it is - entertainment. Please note: Audible posts reviews at its discretion. All the submitted reviews become the property of Audible.com as set forth in our Conditions of Use. In most cases, reviews will be processed for display in one or two days.Please note: Audible posts reviews at its discretion. All the submitted reviews become the property of Audible.com as set forth in our Conditions of Use. In most cases, reviews will be processed for display in one or two days. 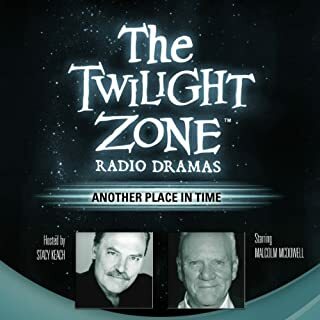 I am getting more and more of these Twilight Zone radio dramas. Well worth the price. would highly recommend!! very good story. had me guessing till the end. you won't regret buying this!! This story is wonderful. It's very involved and interesting, worth the download 100% Like all Twilight zone episodes it keeps your attention and interest for a long time. Charles Beaumont was a great science fiction author and this tale is no exception. The cast, headed by Rosalyn Ayres and Martin Jarvis did a very good job alongside narrator Stacy Keach and several, unknown to me American (?) actors who also added drama to the marvellous storyline. 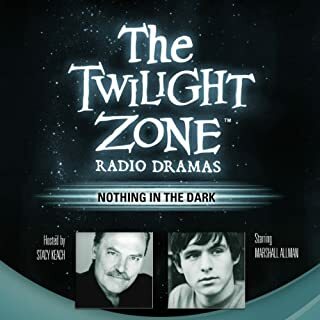 This audiobook was great value and a very enjoyable listening experience. 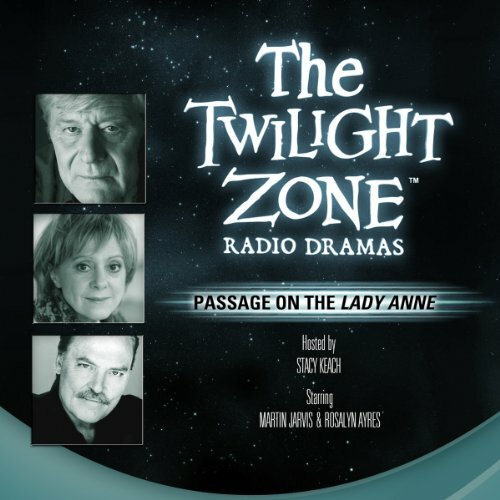 Where does Passage on the Lady Anne rank among all the audiobooks you’ve listened to so far? 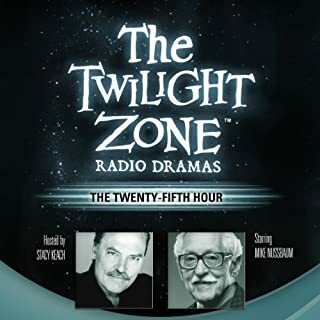 I've read barely 7 eBooks and I've only finished other Twilight Zone Radio Dramas audiobooks. I'll rank this number 3. Well one part made my heart jump, I won't spoil it for prospective listeners but it was telling of the style of the drama, how reached it's goal in such a slow way that you didn't know you were there even when you reached it. It was a moment when the drama decided not to be slow. What about Rosalyn Ayres and Stacy Keach ’s performance did you like? This is a drama so it features the voice of about 10 or so actors. The narrator Stacy Keach had about 5% talking time. I liked the actors, maybe I found one annoying but I think that was the point. Yes, I won't give a spoiler by mentioning it here but a glass broke at that point as well.